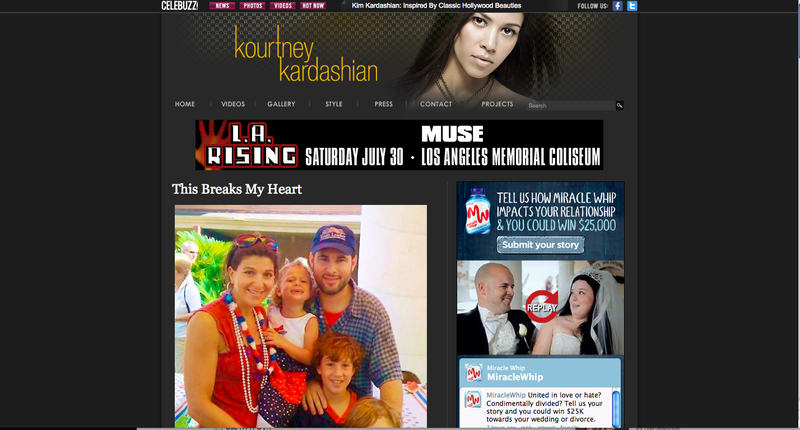 Kourtney Kardashian’s thoughtful and touching website post about a family who was in a tragic car accident on their way home from a family vacation is the first Featured Celebrity Samaritan on Celebrity Optimist. Kourtney used her platform to relay the story and to help the family raise money for their surviving children, by referring readers of her blog to the children’s trust site. It’s beautiful gestures such as this one, that touch the human spirit and inspire people, including complete strangers, to give back and help others in need. When you take away the what we are and listen to the who we are, the common denominator is the human experience. To learn more about the Berry family and to donate to their children’s trust, news sources are directing people to the website, www.theberrychildren.org and letting them know they can also donate directly to: Joshua and Robin Berry Children’s Trust, send to the trust in care of the Bank of Texas, 510 Bering Drive, 5th floor; Houston 77057.